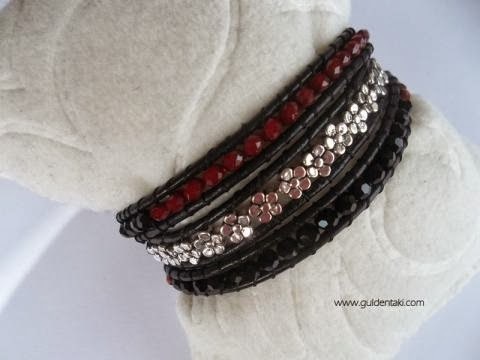 Fabulous bold 3x crystals beaded leather wrap bracelet with silver-plated flowers. 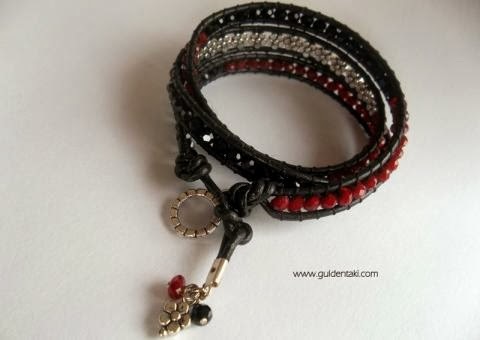 This bracelet is a wonderful gift to yourself or to your loved one. 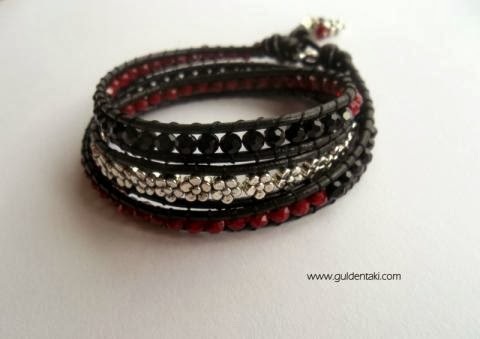 This bracelet is totally handmade.